I recently read this interview, in which Alison Wells interviews Claire King about her life as a mother and a writer. I enjoyed the interview very much and immediately thought of some questions of my own. Not about writing and motherhood (my children are older and don’t get in the way when I want to write), but about writing and living outside the UK, where she and I were born, where she is going to be published and where I would like to be published. Hi, Claire, welcome to my blog. Can you tell us a bit about where you live and how you got there? Hi Miriam, thanks for inviting me! I live in the Pyrenees Orientales, which is in southernmost France, just north of Spain on the Mediterranean side. It’s about 30 minutes to the sea from here and about 30 minutes in the other direction to the ski slopes near Andorra. We have the typical crumbling stone house (showing optimism over common sense) in a small agricultural hamlet at the foot of a mountain called Canigou, which is sacred to the Catalan people. It’s very rural, extremely beautiful and the climate is great – well defined seasons and plenty of sunshine. My daughters go to the local village school/nursery school. Three years ago we renovated the barn that belongs to our house and now we run it as gîtes. This is not so much an income for us right now, but an investment for later on, so my husband and I take turns to work away from home, in Toulouse or Paris mostly. We got here by a mixture of circumstance, chance and a process of elimination. We were both working extremely long hours and living in a nice part of London in a small (but expensive) apartment. We realised that if we wanted to have children AND the time to enjoy them growing up as much as we wanted, that things would have to change. Once we’d taken the decision to uproot, we considered all options. My husband had a peripatetic childhood as part of an army family, and I had spent three years living in Ukraine, so we didn’t think twice about including overseas possibilities. In the end we decided on France as we both had some language capabilities in French (and we were sure that we wanted to avoid expat ‘silos’ and integrate as fast as possible). We had enough money to live on for a year, so we said we’d go for it, and if we didn’t find ways to make a living after a year then we’d go back to the UK and call it a learning experience. Nine years later we’re still here. How does living there affect your writing? In moving here I bought myself more time to live. And more time to write. It’s not necessarily the location itself, but the fact that we decided to move somewhere cheaper to live. We spent all our savings on what is, frankly, a bit of a ruin – but a ruin without a mortgage. The lifestyle of bars and restaurants and expensive clothes, gadgets, satellite TV, expensive food and wine etc – all that stopped. By spending less we needed to earn less (we earn less than a quarter of what we did) and so could spend more time doing things we always wanted to. It turns out you can buy time if you’re willing to make sacrifices. Living here has removed a lot of daily stress and made me more again positive about life. It’s hard to feel weighed down by petty troubles when there is a mountain right outside the window. I also love that the skies are blue, more often than not. I hadn’t realised the effect the natural world had on me until I came here. I could never have written my novel, The Night Rainbow if we hadn’t come here. The narrative is drenched in this place (even though it is set closer to the coast). We don’t have a garden, so we spend a lot of time with the children wandering around the meadows and the mountains. Those times have given much to the ‘palette’ of the book and although the story is pure fiction, it carries a weight of our lives here together and is very close to my heart. Your path to publication seems to have been incredibly easy. I won’t say you’ve been lucky, as I’m sure your novel must be excellent for this to have happened. Was your location ever an issue with agents or publishers? I’ve heard that they see it as a disadvantage if an author isn’t on hand to promote the book. It’s interesting that it seems that way from the outside! I guess with The Night Rainbow things did go fast. I wrote it relatively quickly, edited it very intensely and was snapped up fast by an agent. But you have to know first that this was not my first novel. I started writing my first novel ten years ago and submitting it in 2004. The submission process was slow and frustrating and I was quite alone, and naïve in my efforts. I ran out of time and ran out of steam. Things were easier the second time around because I’d already written a novel and had plenty of time to reflect on its short-fallings. Also because the internet by then was full of helpful hints about writing and submitting, and communities of writers to network with and get critiques from. The new book was also much better. Still, of course, some agents rejected me, I had form rejections and a rejection after a request for a full MS. And some agents in my first batch took months to reply – in the end I had to write to them withdrawing my submissions. But yes, I was lucky enough in that first batch to have selected Annette Green, who fell in love with the book right away. Annette turned the novel around without any further edits (see what I said above about the intense editing process I went through!) and the novel went out to several publishers at once. Some of those publishers also turned the book down. What was interesting to see was that the feedback was centred around the voice and the story. Those that turned down the novel loved one but not the other, and the feedback was contradictory, which just goes to show how getting an offer is really a matter of editors’ tastes. But again, I was lucky that in that first batch The Night Rainbow was read by Helen Garnons-Williams at Bloomsbury who also fell in love with the whole thing, and enough to champion it through the acquisitions process at Bloomsbury (and that process wasn’t straight forward either)! I never blogged about my submissions or the waiting for responses or the rejections, which may add to the idea that it’s been easy. I didn’t feel comfortable with it while my novel was still on submission although of course I spoke in private about it to my friends. When I was applying to agents I did find some that only accepted UK clients, so obviously I didn’t approach them. I don’t know if living here had an impact on other submissions where they weren’t explicit in their guidelines about the author’s location. When I met with Bloomsbury before they offered on the novel, Helen had definitely been deliberating about the fact that I don’t live in the UK. It’s hard to launch debut novelists these days and the downside is, as you say, that I’m not immediately available for promotional purposes. On the whole though, it wasn’t a big enough issue to be a spoke in the wheel and and since my novel is set in France there are also advantages to my living here. Do you feel that living outside the UK prevents you from attending events that could be helpful to you professionally or socially? I’m only a two hour flight from London, so time-wise it’s probably just as easy for me to be available as many UK authors that live outside the capital. The major disadvantage is cost. So I probably attend fewer ‘networking’ events than I otherwise would. There are huge benefits from getting out and about in the writing community – so much to learn and it can be very motivating. I loved having the opportunity to meet people in person at the Bristol Prize ceremony last year, and this year I’m going to the UK in September for a writing retreat with fellow Bloomsbury stable-mate Vanessa Gebbie and others. I rely heavily on social networking such as Twitter, and sites like Fictionaut, which do help a lot. If I have one regret it’s that there is no local writers club, or even a book group here, in the English language. I’m not sure how this will all change in 2013 when I’ll be attending more professional and marketing events, but I’m confident it will be manageable. Since I have this chance to really launch my writing career I’m going to make it work! In the end, living here helps me write and the writing is what matters. Thank you, Claire, for those interesting answers. What I’ve learnt from them is that I need to write an excellent book, have a bit of luck and a lot of determination and persistence. Against all those, location is a less significant factor in the publication equation. 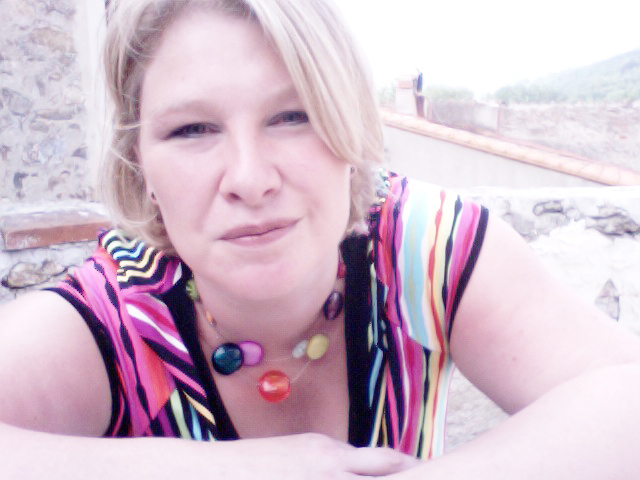 Claire King is a writer, mother and collaboration designer. She lives with her husband and two young daughters near Prades, in France. Her first novel The Night Rainbow, will be published March 2013. Claire blogs at www.claire-king.com and can be found twittering @ckingwriter. I think that travel is a good influence, but I think that actually living abroad is even more necessary, especially for writers. My time in Russia enriched my whole way of thinking, and my writing improved for it. Walking through palaces and strolling the banks of unknown rivers opens your mind in otherwise impossible ways. I’d recommend that any aspiring writer scrape together a job or a scholarship, and hie themselves abroad! Yes, I think you notice things in a different environment that you don’t notice in the one you’re used to. And when you go back, you see things you hadn’t noticed before. Yes, I think that’s absolutely true. A true talent to cultivate, if you can, is to see the ordinary as extraordinary no matter how long you stay in a place. But without travel it must be hard to get that perspective. Thanks for popping in, Cat. You have an interesting blog. Congratulations on your publication and best of luck with the publicity.